Zak Bucia is a rising star in Kansas City and taking on all challengers. Winning six out of his last eight, dropping decisions to Rudy Bears and well known Strikeforce veteran Billy Evangelista, Bucia (12-6) looks to have put all the pieces of the puzzle together. Most recently he handed rising prospect Hugh Pulley his first pro loss. Bucia will face his stiffest challenge to date when he steps into the cage with "The Beast" Rob Washington at SFC: Charged in Kansas City on May 29. Washington (19-9) has been racking up the wins for the Titan FC promotion and if it weren't for a controversial split decision loss to Gleristone Santos, he would have won five straight. Washington is hungry to grab that 20th pro win, and having fought for Shamrock FC on numerous occasions should feel right at home. Washington has never lost while fighting for SFC. 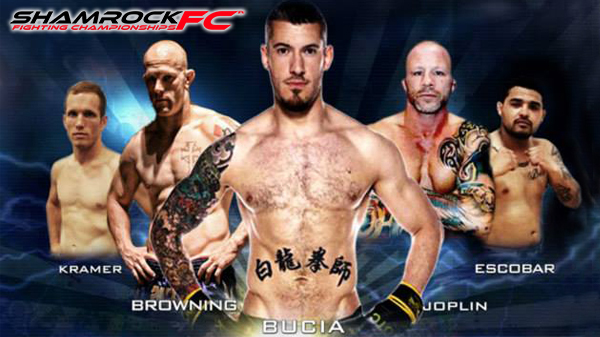 Bucia will have the height advantage and may be a step quicker but will have to deal with the tenacious wrestling of Washington who likes to bully his opponents into the cage, and wear them down. Following his 10th professional win, William Joplin be back in action. The "Armadillo" will be looking to continue his hot hand having won 8 of his last 10 including appearances for Victory Fighting Championships, Titan FC, and RFA. Joplin lost a controversial split decision to Jacob Akin in his last time fighting for Shamrock FC. A win over Poston (9-2) will help erase that from his memory. Poston hasn't been very active having only fought twice in the past four years. His current streak is seven of his last eight dating back to summer of 2010. Dallas Browning will meet Dan McGlasson. Browning loves to cause a stir on social media, and usually backs up it. He's lost his last two and hasn't seen action since last summer, but has spent some of that time in the commentary booth for some other regional promtoions. The middleweight from Glory MMA & Fitness is one to watch. McGlasson has faced just about every middleweight from KC to St. Louis, and most of Iowa in his 25 pro fights. An exciting flyweight match-up between Dustin Kramer and Matt Murphy should entertain fans in attendance at Ameristar. Murphy has a flashy style and Kramer has proven to be a finisher having finished both his opponents as a pro and notching several submissions and TKO's as an amateur. 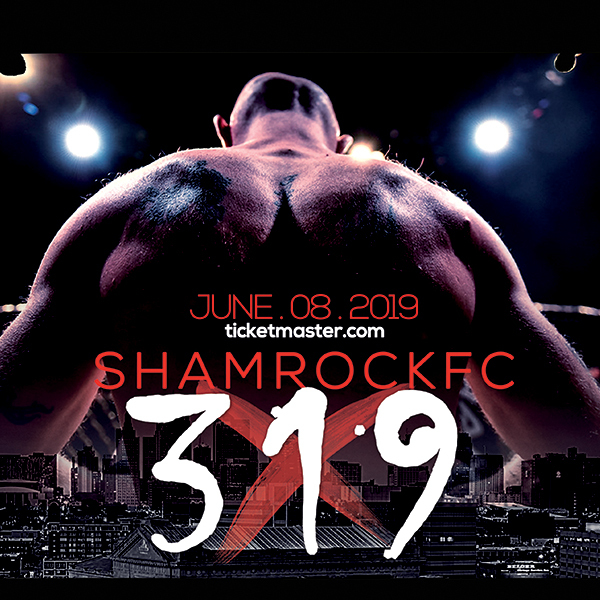 This will be Kramer's fifth fight-in-a-row for Shamrock where as Murphy (2-2) is keeping the road hot having traveled to Chicago in April to take on Joey Diehl at XFO and on May 29th will leave his home base of St. Louis to pay Kansas City a visit. Horacio Escobar and Keeton Gorton will battle in a bantamweight bout. Undefeated Deron Carlis will take on Dalton Goddard in a lightweight match-up, and Timhin Babalola and Ryan Sutton will kick things off on the pro card. Thirteen bouts scheduled, should make for a great night of fights at the incredible Ameristar Casino in Kansas City.